When the air curtain air is ejected from the slotted orifice at a certain speed, it forms a plane jet. If a slit suction port is set on the opposite side to inhale the air flow, a curtain-like air flow will be formed between the blowing and suction ports. The installation of the momentum interval air on both sides of the air flow with this blowing and sucking air flow is called the air curtain. The air curtain installed at the entrance and exit of the building is called the door air curtain. The door air curtain can prevent outdoor wind, dust, insects, polluted air and odor from intruding into the room, add heat (cold) loss to the building, and do not hinder the passage of people and things. The door air curtain has been widely used in industrial factories, refrigeration stores, Department stores, theatres and other places where people and vehicles come in and out repeatedly. In civil buildings, the upper air supply is mostly used, while in industrial buildings, the lower air supply and side air supply are mostly used. Air curtain is also used to control loose pollutants at some sites. As an installation for this purpose, it is called air curtain interval or Blow-Suction exhaust hood. It has been widely used in the production process of large pickling tank, sand drop in forging workshop and paint for large workpieces. 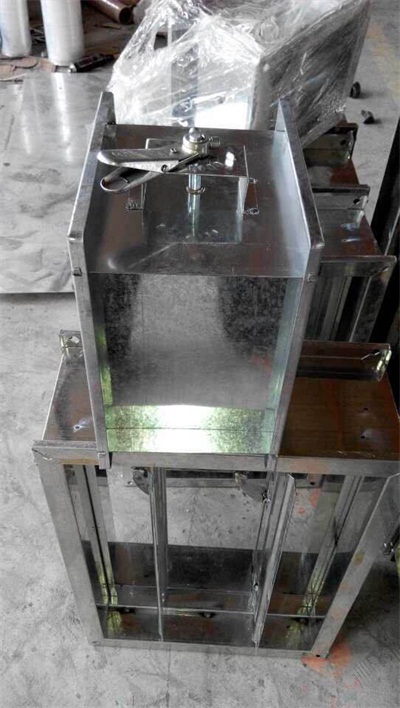 Compared with the traditional part of the exhaust hood, it has less power consumption, good pollution control results and no obstruction to production operation. The size and tendency of the wind change from time to time, so the ventilation result of natural ventilation remains unchanged. However, natural ventilation does not consume power and is an economical ventilation method.